It's easy to let the grease and grime build up on your oven but there are ways of getting rid of the grime and keeping it clean. The below article gives som e good information on cleaning your oven. I also recommend using Lakeland Oven Cleaner. In previous cleaning attempts I have failed to get the burnt on residue from my oven and was convinced I had ruined my oven glass door by using cream cleaner on it (a definite no apparently!) - however I used the Lakeland Oven Cleaner and I can now see through the glass! It has also removed most of the residue from inside, although will need another clean. I was very impressed with it - and now hope to keep on top of it so it stays clean. There are also other cleaners available which use less chemicals. "If you have taken a close look at the inside of your oven recently and don't like the grime you see, help is at hand with this how to clean your oven guide. Prevention is better than cure. Avoid spills in the first place by not overfilling dishes and place aluminium foil under shelves to catch drips. Wipe off splashes as soon as possible. Bicarbonate of soda is a natural way to remove stuck on spills. Spray water over the oven surface then sprinkle on a 5mm layer of bicarbonate of soda and spritz again if necessary, so that you have a layer of bicarb paste over the oven's surface. Leave for several hours or overnight, then scrub off the paste with a non-scratch scourer and soapy water. A tougher fix is Oven Pride, which has a unique bag and glove system. It's a good option when there's a significant build-up of grease and burnt-on food residue. Oven shelves go into a large bag with half the cleaner added to coat them. They are left overnight for the cleaner to do its work. The remainder of the product is applied to the surface of the oven cavity. For an oven that hasn't been tackled for quite a while and that has welded on grime, a professional oven cleaning service may be the best option. When you factor in the time and effort it would take you to get a sparkling result, this service can represent good value. 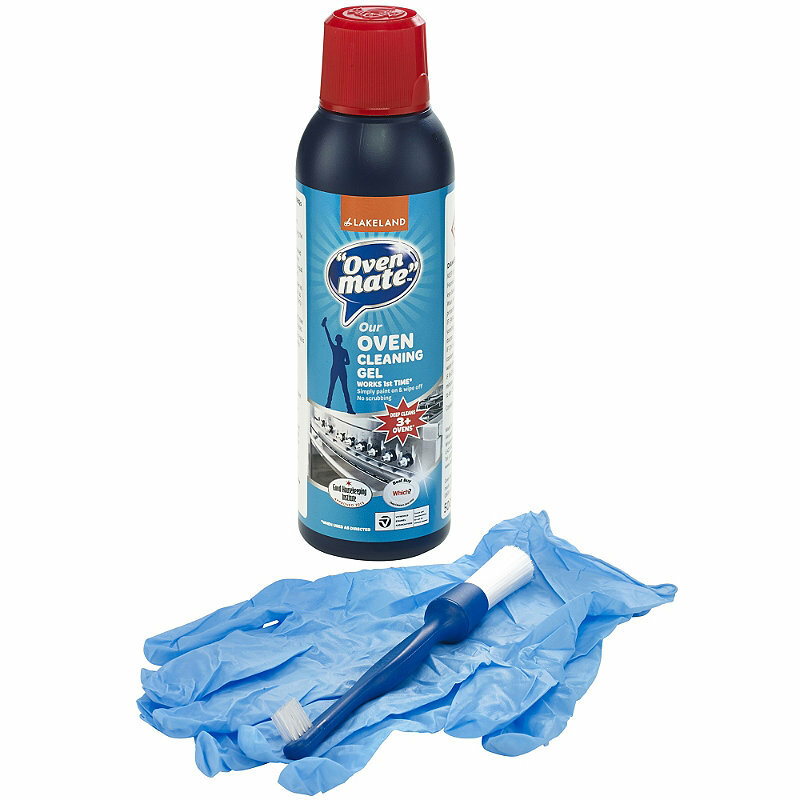 A company such as Ovenclean use caustic-free products to restore your oven to a pristine condition.